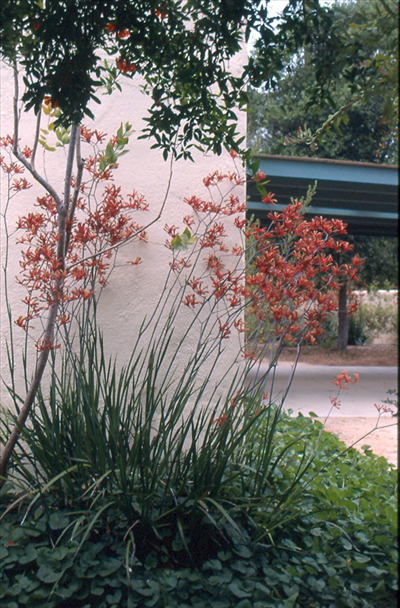 Perennial tufted plants with strap-like leaves and tall red, pink, green, yellow, orange flower stems. Suitable for full sun or partial shade positions, coastal or inland. 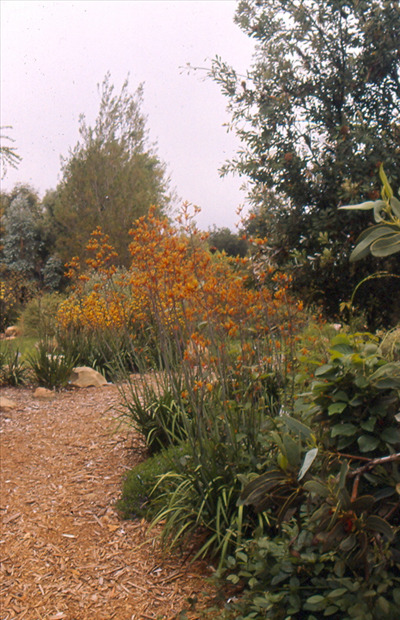 Prefers summer watering around Ojai. Damaged by frost but foliage can be cut back in spring for flowering in summer. Sometimes attacked by fungus known as ink disease which is an inky-black spotting on the leaves. A. flavidus is most tolerant of this fungus. Kangaroo Paws are excellent cut flowers and great container plants. Hummingbirds love them!